← Blooms: Beating the line up! A couple of weeks ago I went to Mariefred to open an art exhibit at Grafikenshus. On the way back Mikael dropped me at Mariatorget but pointed towards Wollmar Yxkullsgatan and said: “There is a nice little café there. The guys take their coffee very seriously”. 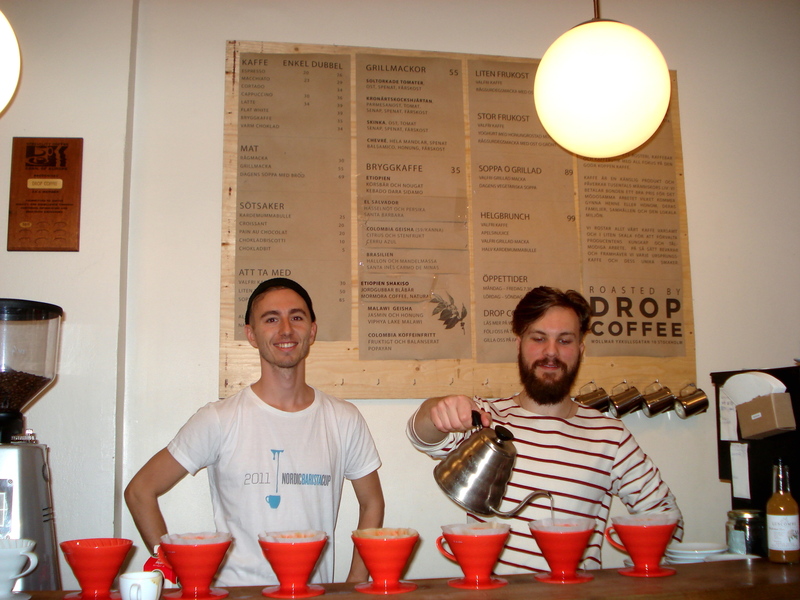 When I walked into Drop Coffee I immediately knew that this was the café Mikael was talking about. From the outside it could be like any small coffee shop! And then you walk inside and you know this is no ordinary coffee shops. I was greeted by Oskar and Alexander. These guys love their coffee. Really. Apparently they represented Sweden a couple of weeks ago at a coffee competition in Colombia! They brew their coffee on site but they also have a bigger location just outside Stockholm. I started with a double espresso and then got one of their brewed coffees. You can chose from Ethiopia, El Salvador, Colombia and Brazil. I picked the Colombia one – which is also a bit more expensive. For a good reason. Oskar brought it to my table and said: “let it cool for just a minute and it will be prefect”. He was right. 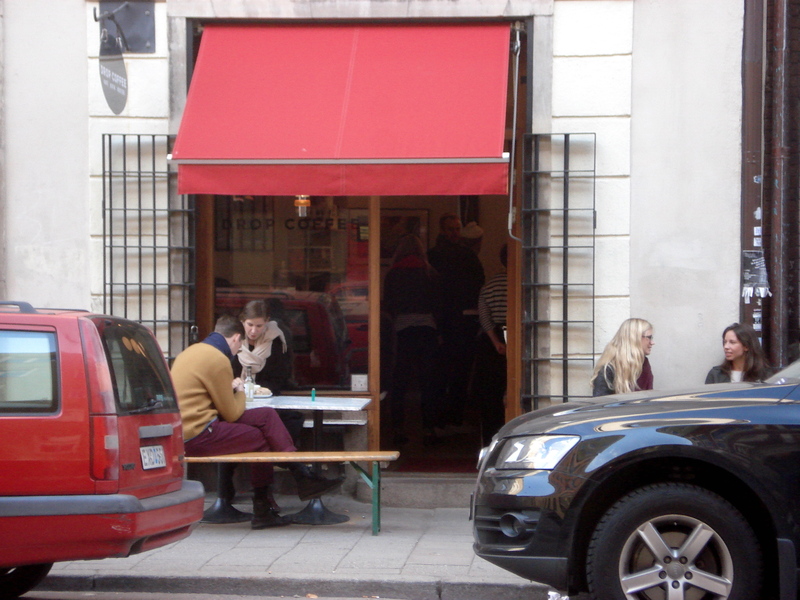 This entry was posted in Coffee, Colombia, Serious, wifi and tagged Coffee, Colombia, Mariatorget, Serious. Bookmark the permalink.